Nepal is a country that is steeped in history and religion. During the year, the Nepalese people celebrate over 22 major festivals. Over the next few months I am going to highlight some of these key festivals with information provided by Basant, our long-serving representative. One of the great things about being a volunteer in Nepal is that you get to experience these festivals first-hand and learn more about them from Basant and the family that you’ll live with. The main festival in mid-January is Maghe Sankranti. 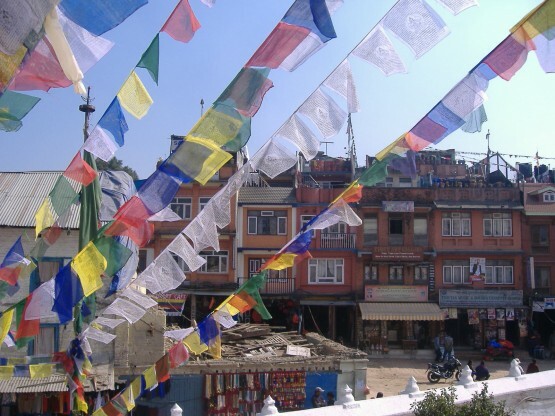 Our first volunteers of 2014 arrived in Kathmandu yesterday and, in between getting over the jet lag, will hopefully be enjoying this festival! “Maghe Sankranti takes place at the beginning of the holy month of Magh, usually the middle of January. It brings an end to the ill-omened month of Poush (mid-december) when all religious ceremonies are forbidden. Even if it is considered the coldest day of the year, it marks the coming of warmer weather and better days of health and fortune. I think Maghe Sankranti might have taken place early this year as Kathmandu is already experiencing balmy temperatures in the mid 20oC! This day is said to be the most significant day for holy bathing. The ritual usually takes place at the union of sacred rivers and streams. Sankhamole, on the banks of the holy Bagmati River, below Patan, is thought to be amongst the most sacred sites for this purpose. In recent years there has been a decline in the number of people taking part, due to the water pollution in the river. However, people still go in the early hours of dawn just to sprinkle themselves with the water. They pay homage to various deities especially the temple of Red Machindranath and Agima Ta. In addition to holy bathing and worship of shrines, certain auspicious foods like till laddoos (sesame seeds ball cakes), chaku (molasys), ghee (clarified butter), sweet potatoes, khichari (mixture of rice and lentils) and green leaf spinach are eaten on this day. Families come together and share these delights. Married daughters and families are invited to parental homes for festivities and blessings. This is yet another occasion to renew family ties. Many homes have pujas (religious ceremonies) conducted by priests chanting from holy books, for which they receive alms. If you want to experience Nepal’s festivals by becoming a true part of the community through volunteering, visit our volunteering in Nepal webpage or contact me ([email protected]) for more information.